Genetically modified organisms are hiding throughout the U.S. food supply. 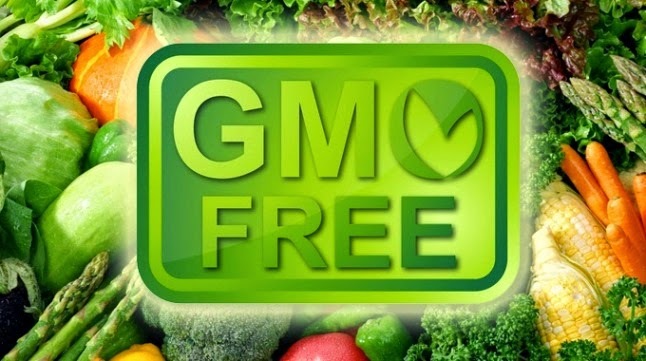 And try as you might to avoid them, if you eat at a restaurant, are forced to pick up a snack from a vending machine, or even if you take supplements that don’t explicitly state they are GMO-free, you are likely ingesting some GMOs. But the good news is that you may be able to detox these GMOs from your body – a few tips are just below. Many GMO foods, but specifically corn, have been studied with frightening outcomes. From simple effects like weight gain to more serious ones like organ disruption and massive tumors, we have only really scratched the surface on all of the potential effects of these lab-created foods. This is why it is vitally important to regularly cleanse and detoxify your body of foreign health-wreaking materials. Keeping them out of your diet is the first step in ensuring you don’t experience their effects, but since GMOs can’t truly be avoided, detoxing is another route you’ll want to take. One of the best ways to ensure your body is eliminating those things which it has no use for (heavy metals, GM-toxins, and food additives) is through a high-fiber diet. This is achieved by eating plenty of plant foods but also by occasionally detoxing with something like psyllium husk. Psyllium husk creates a sort of gel that, when consumed with plenty of water, will flush out the digestive tract, essentially taking all lingering toxins along. You can find organic psyllium husk at most health food stores or online. Your digestive system should be well-equipped for dealing with foreign invaders like GMOs and other toxins. When you eat fermented foods and consume probiotics, you create a healthy bacterial balance, ensuring your “gut bacteria” is able to break down and eliminate harmful substances in your diet. Consuming probiotics will also help your body to detox the Bt-toxin found in GMO crops. Jonathan Benson at NaturalNews suggests organic sulfur as a must-have for detoxing the liver. He calls this substance, also known as methylsulfonylmethane (MSM), “a critical component in detoxification, energy production, cell oxygenation, and immune capacity.” While it used to be found throughout the food supply, it has fallen by the wayside with “advances” in agriculture. Now, you can find organic, lignin-based sulfur crystals to help make up for the loss. Other herbs that can help ensure GM foods don’t wreak havoc on your health are cascara sagrada and wild burdock root. Cascara sagrada is a cleansing herb, one that has been used for ages among indigenous people. It will clean out your digestive system and ensure healthy elimination. Wild burdock root also has cleansing properties, but works in a different manner. It is a diuretic and is considered a blood-cleanser. Avoiding genetically modified foods should be your first line of defense. But creating a healthy body to fight those that do get in is important too. Regular cleansing and detoxification will help you avoid the negative effects of these and other modern food additives.